Should I pool all my investments in SEO or PPC? Like so many cost-conscious marketers out there, you probably leaned more towards the “free” traffic that SEO can provide. After all, it’s no secret that an ill-advised PPC campaign can quickly burn through your funds before you can close a single sale. As a small business with a limited budget, it’s much more sensible to have a slow and steady approach rather than invest in something with no guaranteed results — that much is true. However, that doesn’t mean you should turn away from PPC altogether and ride towards the sunset with SEO by your side. The truth is, it’s never been about which is better. It’s about learning how to balance your efforts between SEO and PPC — and how to leverage your gains from each to grow your business. If you want reliable brand growth over the long-term, then, by all means, use SEO as your go-to strategy. But if you need profits right now, then a well-planned PPC campaign with Google AdWords will give you the tools you need. 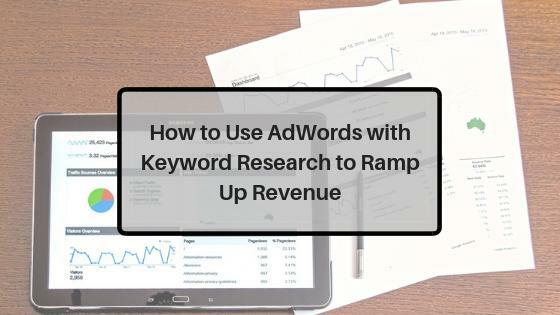 In this post, we’ll show you how to use Google AdWords to develop a profitable PPC campaign. But first, we need to go over a few things. Before anything else, it’s crucial that you learn how AdWords work. Put simply, AdWords is a PPC advertising platform that can help give any business a running start. In case you’re not already aware, PPC stands for Pay-Per-Click, which means you need to dole out cash whenever users click on your advertisement. That’s just about as straightforward as it can get. 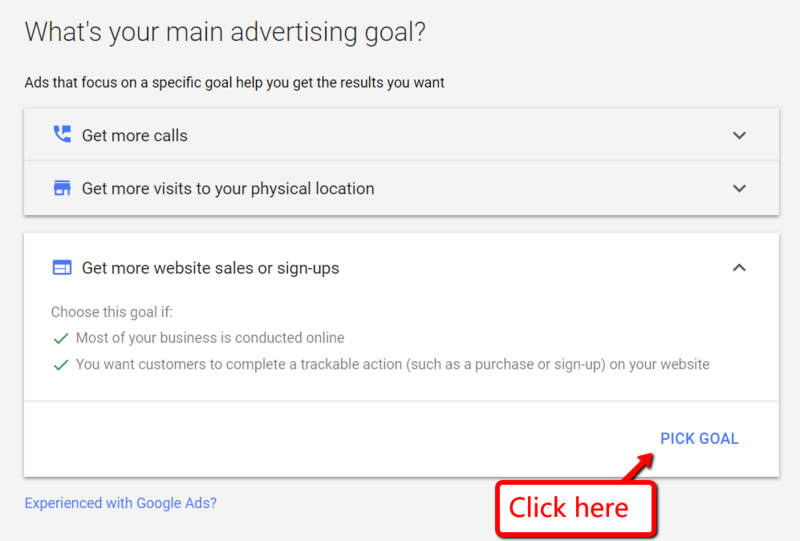 Upon logging into AdWords with your Google account, you’ll immediately be asked about your advertising goal. The succeeding steps are all basic stuff — entering your business name, specifying the location of your customers, and so on. You should be able to breeze through the entire setup process without a hitch. 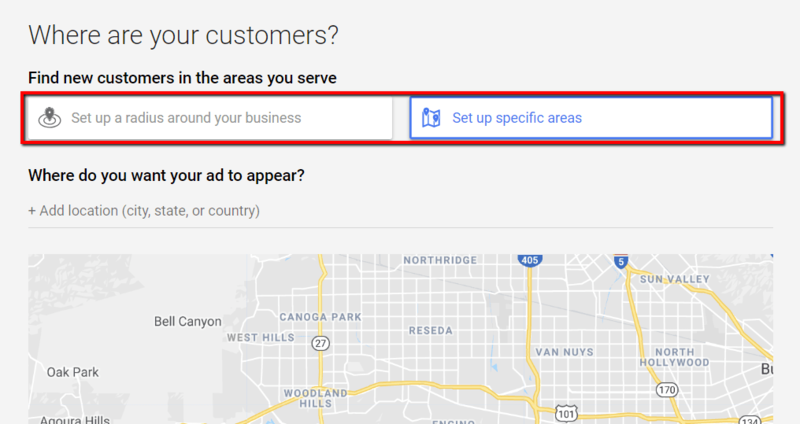 To make sure your AdWords campaign yields profitable results, it’s important to pinpoint the location of your target audience. Otherwise, you may end up wasting precious advertising dollars on users who have no way of purchasing from you. You can either specify certain areas through the Google Maps widget or set up a radius around your location. 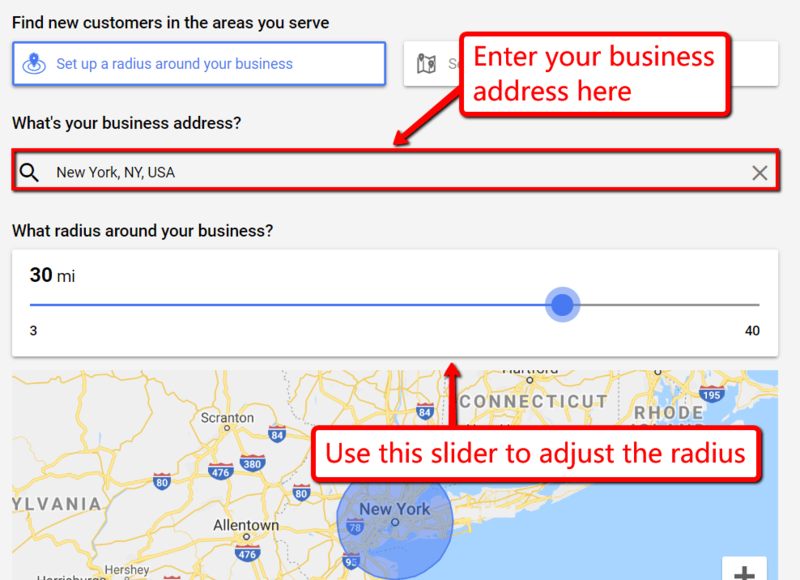 If you chose the latter, all you need to do is select your business address and use the slider to adjust your desired radius. Alternatively, you can enter the specific countries, cities, or states you want to target in your AdWords campaign. 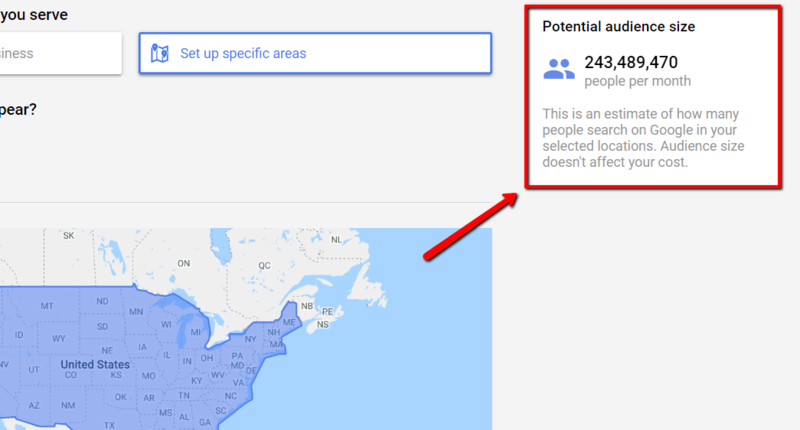 When specifying the service areas of your business, Google AdWords conveniently shows you a projection of your audience size. 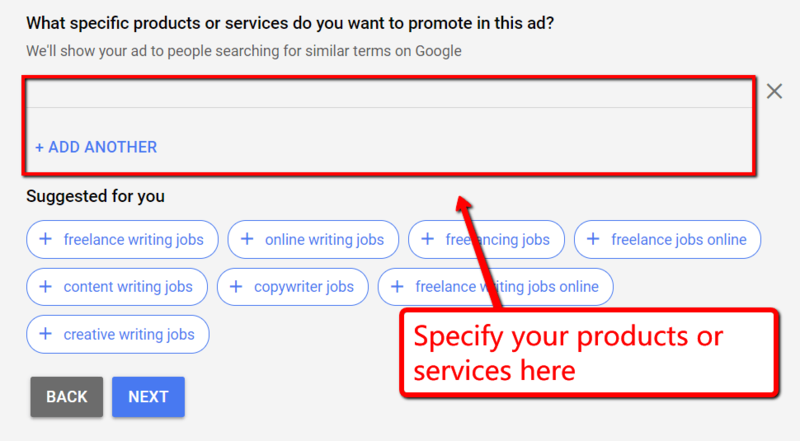 The next step is to define the product or service you’re trying to promote through AdWords. 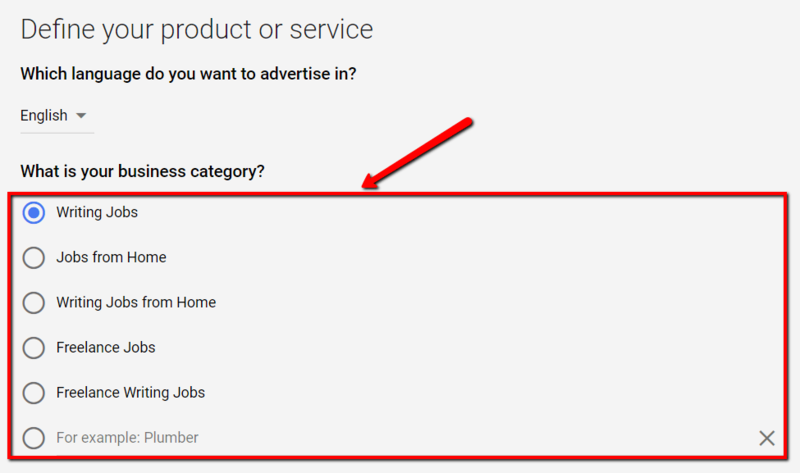 Based on the website you entered earlier, AdWords will present you with a couple of category suggestions that fit your content. If you have a clear idea of what you’ll be offering on your ad, don’t forget to define it in the field at the bottom of the page. This will allow Google to display your ad whenever users search for something similar. 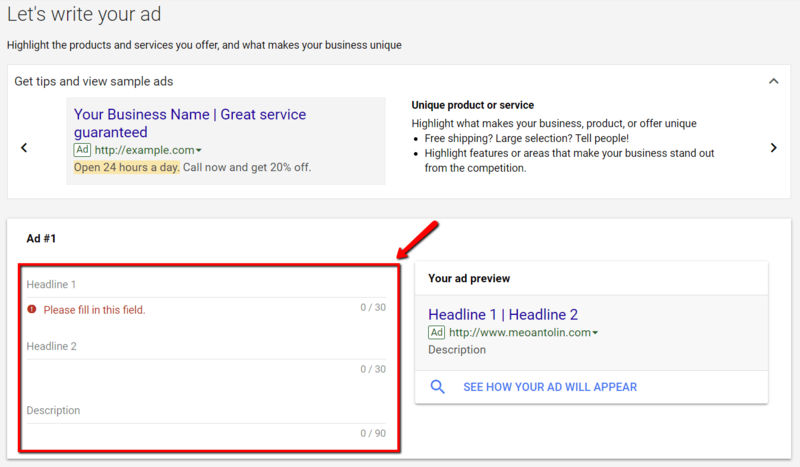 AdWords campaigns can be used to promote an indefinite number of products, so be sure to add them all if they’re related. Again, AdWords will estimate your potential audience size based on your campaign’s configuration thus far. At this point, you now have enough information about your business to start creating your ads. The secret of how to run an effective AdWords campaign lies in your copy. First, you need to write your ad’s “Headline 1” and “Headline 2.” These can only be up to 30 characters long each, so you need to make every letter or number count. Studies show that incorporating numbers and actual dates in your headline could increase clicks by as much as 217 percent. If you want to make your audience believe in your value proposition, every benefit must be conveyed in a tangible and measurable fashion. The key here is to be as specific as possible while using fewer words. When it comes to your ad’s description, the same rules apply: cut all the guesswork, focus on your selling points, and keep it concise. The good news is, you get slightly more legroom for your description with a 90-character limit. That should be more than enough space for you to introduce the benefits of your product or service to your audience. Don’t forget to include a direct call -to-action or CTA to cap off your description. There’s no need to overthink it — just go with simple phrases like “Call Us Now,” “Buy Now,” “Order Today,” and so on. It’s also important to identify the “oomph” factor that makes your brand unique. Unfortunately, there’s no specific blueprint that we can share on finding your brand’s unique value proposition. That’s something you need to figure out on your own. What happens in your market if you disappear? 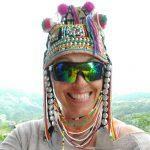 What’s the personality that you want your brand to have? What do you hate about your competitors? How do you want customers to remember their experience with your brand? Perhaps the most intimidating step when talking about how to run an effective Google AdWords campaign is your ad budget. 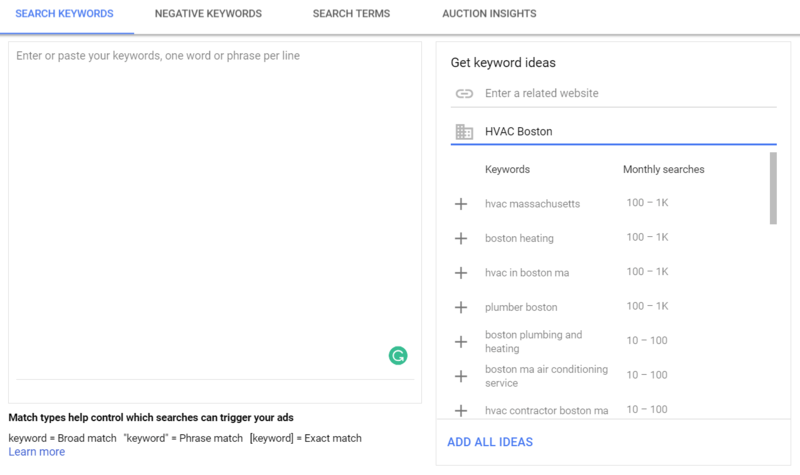 Google AdWords makes this simple by suggesting the typical competitor budget range right off the bat. Tuning this will automatically update the estimated performance of your campaign. To finalize your campaign, you’ll have to fill in your billing information. Once complete, remember to give it one quick review before you submit it to Google. When running your AdWords campaign, it’s important to pick the right keywords for your ad groups. This is where our favorite keyword research tool — Long Tail Pro — steps in. What you need to understand is that the search volume for a particular keyword is just a small piece of the puzzle. It’s not just about finding keywords with buyer intent, either. 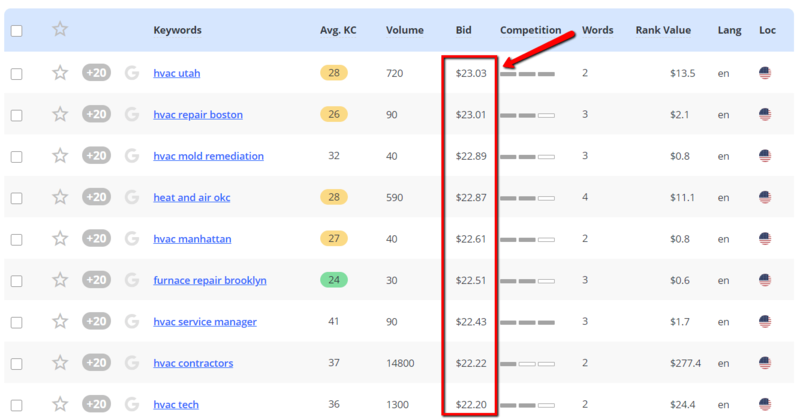 This time around, you also need to pay attention to the keyword’s average advertiser CPC bid. Long story short, the average CPC bid is the amount other advertisers are willing to pay for each click when utilizing the keyword for their PPC campaigns. Your top priority is, of course, to make sure you’re not losing more money than you earn with ads. As such, you need to calculate your break-even CPC or Cost Per Click. 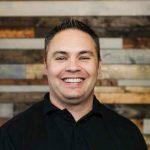 To do this, you simply need to multiply your desired Cost Per Acquisition or CPA with your current conversion rate. Since you want to turn a profit, you either work on increasing your conversion rate or lowering your maximum CPC to less than your break-even CPC. Of course, the CPA is also a metric that’s easy to underestimate for new advertisers. Keep in mind that companies also factor in the overall Customer Lifetime Value or CLV when calculating the amount they should spend on customer acquisition. For example, suppose your customers need commercial repair services once per year — generating a profit of $1,500 per sale or $3,000 in two years. Let’s say you also charge for maintenance checks of $70 per hour. Suddenly, increasing your CPA from $500 to $600 or even $700 doesn’t sound too bad. 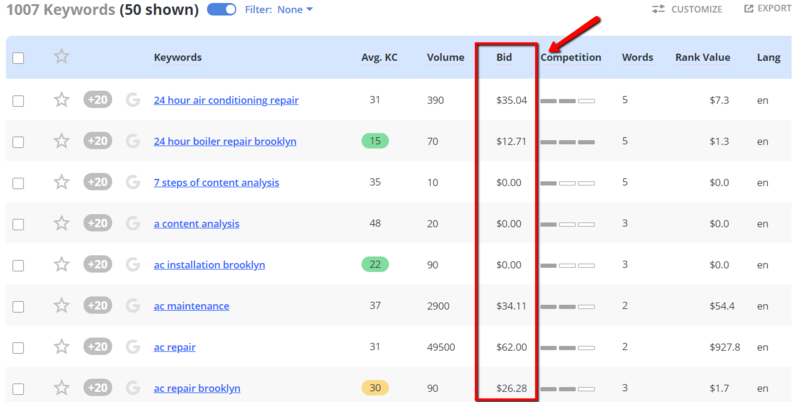 You can use Long Tail Pro’s “Bid” metric as a benchmark for the average CPC your competitors are paying. Remember to use keyword filters to find buyer keywords that are relevant to your location. There you go — a guide on how does AdWords work and how to make sure you don’t blow your budget on PPC. If applicable, be sure to target the right location when setting up your AdWords campaign. Include a compelling CTA in your ad description as well as a unique value proposition. When writing headlines, be as specific as possible and insert actual figures if you have them. Manage your PPC budget accordingly by calculating your break-even CPC and maximum CPC. Use Long Tail Pro to find target keywords for your ad groups.